BMS - Field Service Engineer Job No 12845 West Midlands £33,000 - £37,000 + Bonus + Car Pension Private healthcare Overtime available Massive career potential BMS Engineer looking for real career progression opportunities and a stable new position? I am looking for a BMS Field Service Engineer ideally with StruxureWare experience but anyone with exposure to BMS systems such as Trend, Andover Continuum, TAC, Satchwell, Honeywell or building controls will be very welcomed. Fantastic opportunity for a BMS Field Service Engineer based in the West Midlands. Are you a BMS Field Service Engineer looking to join a globally leading company within the BMS industry? Are you a BMS Engineer looking for real career progression opportunities and a stable new position? I am looking for a BMS Field Service Engineer ideally with StruxureWare experience but anyone with exposure to BMS systems such as Trend, Andover Continuum, TAC, Satchwell, Honeywell or building controls will be very welcomed. This is the job for you! If you are a BMS Field Service Engineer with ambition, looking to work in an environment where your opinion is really valued and your skills are greatly recognised then please continue reading and apply below! If you have ticked all of the above boxes and within commutable distance of the West Midlands, I want to hear from you ASAP. 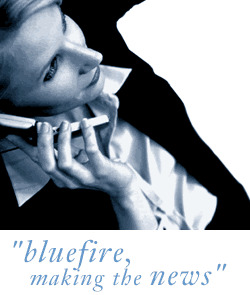 Apply by emailing me directly t.dabek@bluefireconsulting.co.uk or via the 'apply' option on this site.